The first full trailer for ABC’s “The Good Doctor” Season 2 previews some of the fallout of Shaun’s surgical error from last season. 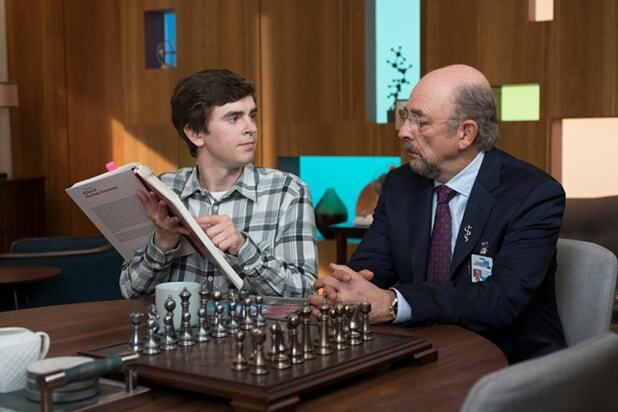 Fans of the ABC medical drama will remember that the first season closed on a cliffhanger, with Shaun (Freddie Highmore) and his mentor Dr. Glassman (Richard Schiff) planning to admit to a slip-up in surgery that nearly cost a patient his life and could potentially cost them their jobs. Season 2 will also see the staff of St. Bonaventure hospital reacting to Dr. Glassman’s transition from employee to patient after being diagnosed with cancer in the first season finale. “The Good Doctor” will return on Monday, Sept. 24, with an episode written by Highmore, who recently inked an overall deal with Sony Pictures Television. In addition to Schiff and Highmore, the series also stars Antonia Thomas, Nicholas Gonzalez, Chuku Modu, Beau Garrett, Hill Harper and Tamlyn Tomita. David Shore is showrunner and executive producer. The CW's "Charmed" reboot features three new faces as the Charmed Ones. Mantock previously starred in AMC's "Into the Badlands" as Veil. Diaz has had roles in shows like "Room 104" and "The Breaks." Jeffery has appeared on "Shades of Blue" and "The X-Files." 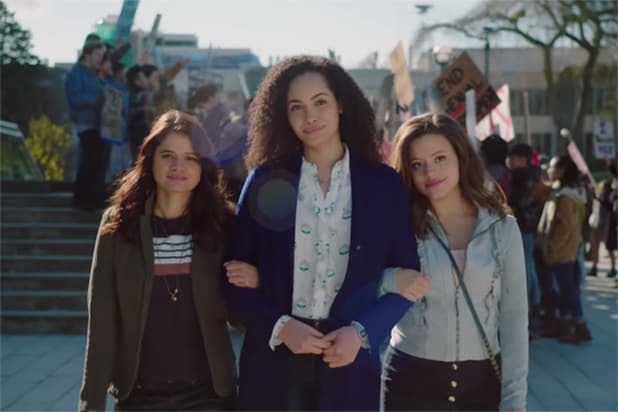 But starring as three witch sisters in "Charmed" -- which The CW is hoping to be a successful drama with its Sunday night time slot after "Supergirl" -- will put these ladies front and center. Ezra has previously appeared on series like "The Missing" and "Prime Suspect 1973." His character Spencer is the new face of Beverly High football -- and Ezra is the new face of Greg Berlanti's high school drama that gives us "Friday Night Lights" vibes. Are we looking at the next Michael B. Jordan? You might recognize this young actor's voice from the Blue Sky Studios animated movie "Ferdinand," and now it's time to recognize the face. Gore has also appeared in "Billions." Lewis and Choi play two of the single parents in ABC's new sitcom along with Leighton Meester, Brad Garrett and Taran Killam. Lewis previously appeared on ABC's "Scandal" as a reporter and Choi has had roles on "Hawaii Five-0" and "Lethal Weapon." Beane has had roles in "The Flash" and "The Resident." In "God Friended Me" she stars as journalist Cara Bloom, a girl who is suggested to Brandon Micheal Hall's Miles Finer by "God." The "Murphy Brown" revival has a new cast member: Nik Dodani, who plays Pat Patel, the director of technology and social media trying to bring the "olds" into the 21st century who can't believe that Murphy still has a Razr. He previously appeared on "Atypical." Mallard appeared previously on "Neighbours" and is making his US debut on CBS' new comedy "Happy Together." Mallard stars as a young celebrity trying to stay out of the limelight and he's serving us some One Direction-style charisma. Your new Thomas Magnum has arrived, and he's a fast car-driving, kayaking, former Navy SEAL who also happens to be a total hunk. We're thinking that Hernandez + action + Hawaii will equal TV stardom. "I Feel Bad" is one of the shows we're excited to see this fall, and Sarayu Blue is one of the reasons why. She plays a mom struggling with the pressure to come off as perfect, and her realness in the trailer already had us giggling. She previously appeared "No Tomorrow" and "Blockers." Roxburgh plays Michaela Stone, one of the travelers who has been presumed dead for five-and-a-half years. She narrates the trailer, so we're sure that she'll be an important part of the story. She's previously appeared in "Valor" and "Supernatural." Just How Good Are ‘The Good Doctor’ Ratings?